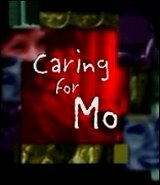 Caring for Mo is an educational tool that will touch your heart. The Emmy nominated documentary film chronicles the struggle of New Hampshire nurse and mother Rosemary (Mo) Runnels, her family, her friends, her co-workers and her physicians as she endured a 20-month battle with breast cancer in a series of unforgettable, stunning black and white photographs and powerful words. When nurse and healthcare educator Cindy Gourgue came to NHBCC with these photographs and story of Mo, NHBCC set out to create Caring for Mo to stimulate discussion about the impact of serious illness on patients, families and caregivers. Inspired by Mo’s young son, Caring for Mo will educate you, move you and encourage you to think about your own caregiving. The film has been well received by dozens of medical and nursing schools here in New Hampshire and across the country. Caring for Mo was nominated as best documentary by the Boston/New England Chapter of the National Academy of Television Arts and Sciences. The NHBCC documentary was produced for NHBCC by independent filmmaker Jay Childs of Exeter and earned its Emmy nomination by competing with films produced by Goliaths WGBH in Boston, WCVB-TV in Boston, Connecticut Public Television and WJAR in Providence, RI. To order a copy of Caring for Mo, use our order form, call 603.659.3482 or E-mail info@nhbcc.org. Costs: DVD, $15.00; Video Cassette Tape, $25.00 (both include shipping and handling).